With the theme of "Vincentism: the Beginning of a New Era in Block Chain Technology", the conference attracted nearly 100 participants from industry experts, financial experts, authoritative media and projects from all over the world. Ulaanbaatar, Mongolia - January 10, 2019 /MarketersMedia/ — On January 9, IDAX, the world's leading blockchain digital asset exchange, held a Vincent Seminar in Shanghai. With the theme of "Vincentism: the Beginning of a New Era in Block Chain Technology", the conference attracted nearly 100 participants from industry experts, financial experts, authoritative media and projects from all over the world. Vincent, the world's first virtual opinion leader in the blockchain industry created by IDAX ( https://www.idax.pro ), made an appearance at the meeting. Vincent's image is composed of dynamic particles. Its shape is changeable. It represents the flexibility, complexity and high value of the blockchain industry. 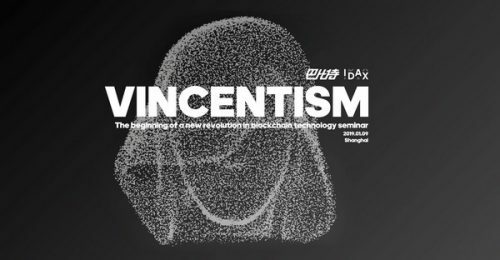 According to IDAX executives, Vincent has a global industry perspective, supported by IDAX innovation research, to voice the development trend of block chain technology and digital asset management. The introduction of Vincent, the virtual opinion leader, is based on the rise of Vincentism in the blockchain industry. With the development of the blockchain industry, the periodic law began to appear, and the bottleneck of blockchain technology and landing application was highlighted. In this context, Vincentism, which combines more forms of assets and business models with block chain technology, has begun to spread widely, and its fissile effects will soon attract global attention. Blockchain applications are still being explored, but it has become industry consensus that digital money will constitute asset allocation, accompanied by increased security risks and malicious violations, so real-time intelligent risk control system has just become the industry needs. On the scene of this exchange, IDAX( https://www.idax.pro ) announced the completion of the strategic upgrade of security system, a new online "prophet" control system. The Prophet is a real-time risk control product based on big data and cloud computing technology, which combines business rules and black-and-white list for policy control through risk control model. It not only realizes 9 security guarantees per transaction, but also reduces the risk of fraud in over-the-counter transactions by means of rigorous KYC mechanism. In addition, after the certification of the Digital Assets Security Research Laboratories in many countries, the security and privacy protection of digital assets and personal information will be upgraded to the "banking level". IDAX has the world's top development team, product and technology iteration speed, greatly exceeding the industry level. Another highlight of this seminar is the global launching of IDAX platform currency. IDAX( https://www.idax.pro ) token short for "IT". IT is initiated by IDAX. GBC Group and Genghis Khan Bank of Mongolia jointly issue and supervise decentralized blockchain assets. It is a trust letter based on ERC20 public chain. IT is the token issued by IDAX platform to realize the efficient interactive circulation of value in the platform. IT is used as the value certificate to transfer in the platform ecology and promote the active collaboration between the platform community and users. IDAX core team will strive to construct an exchange ecosystem with IT token as the core, pursue the distributed autonomy of the platform, and gradually improve the self-circulation system. Ultimately, it will become an ecological system in which all people participate and all people benefit. IDAX( https://www.idax.pro ) was founded by GBC (Global Block Chain Research Center), headquartered in Ulaanbaatar, Mongolia, and has been authorized by the Mongolian Government to trade digital currencies, it also has number of national policy support. At present, IDAX has more than 1.2 million registered users, covering 87 countries and regions worldwide. According to coinmarketcap, as of December 2018, IDAX exchange’s ranked among the top 10 in global trading volume. IDAX is building an extremely safe digital asset trading platform and its ecological circle, making every effort to build an international block chain asset trading and service platform in the de-centralized era, leading the industry into a new era.